If you are planning a home remodeling project, you should consult with a professional for help. At Vogel Home Improvement, your Eagle River remodeling contractor, Bob Vogel, is here to assist you with the effort. Bob is adept at all manners of interior and exterior home improvement projects. He specializes in kitchen and bathroom remodeling in Eagle River, AK but also has the skill and experience necessary to construct complete custom carpentry additions. Vogel Home Improvement can help you achieve all of your goals and satisfy all of your needs. 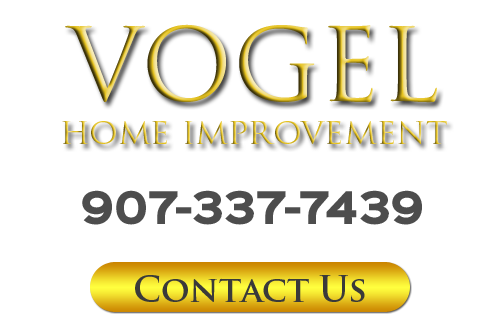 Started in 1996, Vogel Home Improvement is proud to be an owner-operated remodeling company. Bob understands how important your home is to you and your family and is humbled by the fact that you are considering Vogel Home Improvement for your next home improvement project. When you hire Vogel Home Improvement, you can rest assured Bob will honor your trust by treating your remodeling service request as if it was being performed on his own home. In this way, he can be the professional remodeling contractor you expect and guarantee the best possible and most rewarding results. Call Vogel Home Improvement today if you need to hire a professionally licensed remodeling contractor in Eagle River, AK. Bob is ready to assist you in any way that he can. He would be happy to discuss your prospective project with you and to inform you as to how Vogel Home Improvement can accomplish all of your goals. Call today to schedule your appointment. You and your family depend upon your kitchen on a daily basis. This is the area in which you gather to share a meal after a long day at work and school. 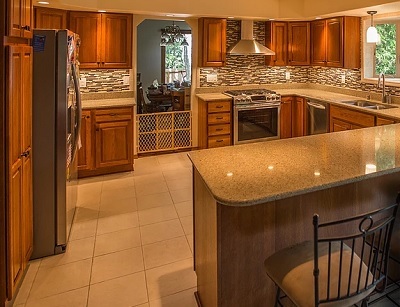 Your kitchen is where you prepare holiday meals and host guests and friends. When you conduct a kitchen remodeling project, you have the opportunity to make all of these moments easier and more enjoyable. At Vogel Home Improvement, Bob is the Eagle River kitchen remodeling contractor that can help you complete transform this living space. If you have a unique vision of what you want your kitchen to look like, he can make it become a reality. All the while, he will make sure that you make changes to the area that make all your cooking and cleaning tasks easier. You and your family will most assuredly love the results. "Bob is a fantastic craftsman and highly professional contractor. Over the years he has completed a number of projects for us that were simply superb. He never takes shortcuts, and his finish work is always to exacting standards. Our front deck design and expansion are a prime example of his outstanding work. I highly recommend him for any project - large or small." "I have used Vogel Home Improvement for extensive projects at my home in Eagle River for 20 years. Projects included finishing lower level, remodeling baths and kitchen, new flooring and four large decks. Also interior and exterior painting. His work has always been very high quality, on time, and within budget. I give him a 100% recommendation!" If you are looking for a professional Eagle River remodeling contractor then please call 907-337-7439 or complete my online request form.